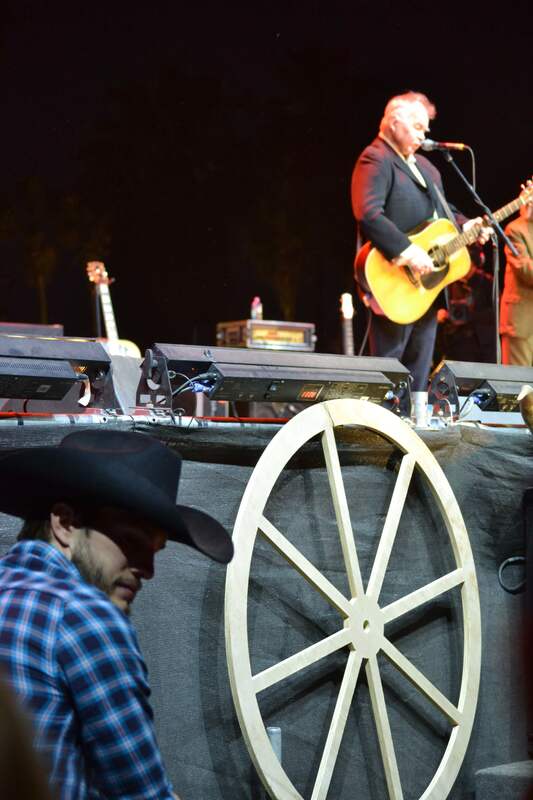 When Florida Georgia Line climaxed their set with "Cruise" Sunday night at the Stagecoach Festival, the reaction was so thunderous that you feared it might awaken some sleepy fault line underneath the California desert. The fenced-off aisles that ushers worked so assiduously to keep clear were suddenly filled with dancing and grinding hordes. 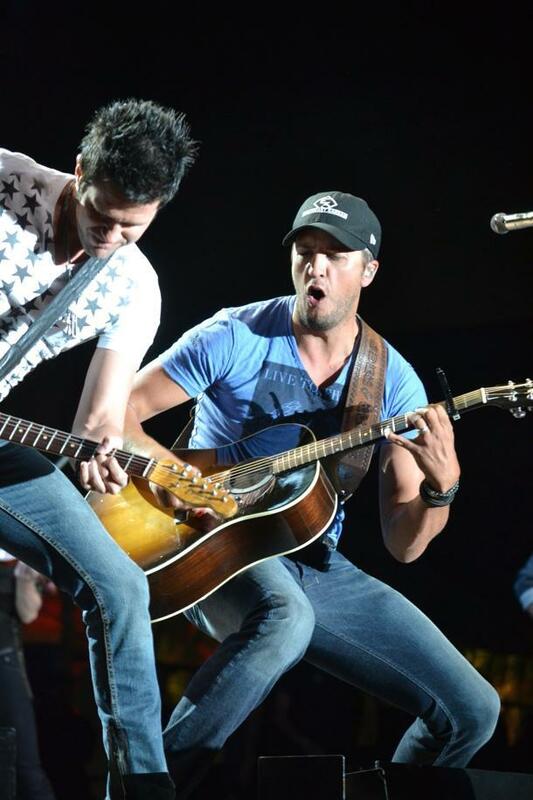 "You guys have truly changed country music history. I don’t know if you know that," Tyler Hubbard said in introducing the song, presumably referring to its record-breaking run at No. 1 on the Billboard chart. For a minute, you might've feared they would change history by creating a Stagecoach riot, too. Who could follow that reigning national anthem of country, among a crowd of 63,000 composed mostly of rowdy twentysomethings, late on a Sunday night when you could hear a lot of attendees griping that they had to be back in class the next morning? Pretty much just one guy, and fortunately, it was the guy Stagecoach had booked. "Y'all got me feeling like spring break out here in southern California tonight!" 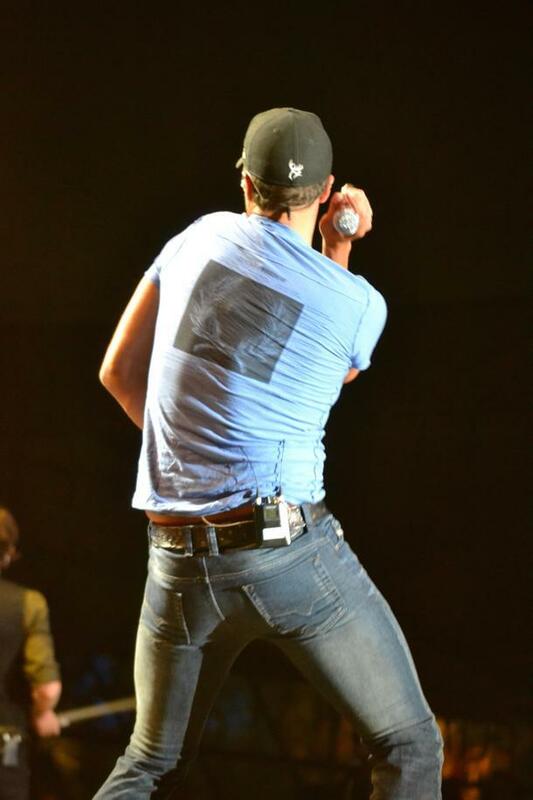 bellowed Luke Bryan, who pulled off the very rare feat of being the Sunday Stagecoach headliner that pretty much everyone sticks around for. 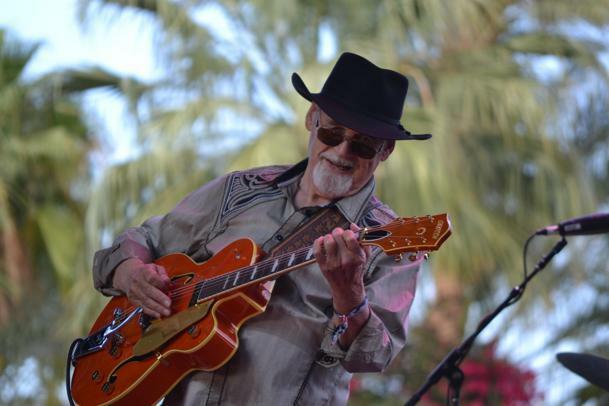 His set included exactly two sad songs ("Someone Else Calling You Baby" and the recent funereal hit "Drink a Beer") amid an otherwise non-stop paean to the collegiate party lifestyle that Stagecoach has come to embody. When it came time to draw on Southern themes in his songs' lyrics, Bryan stretched to find some commonalities between the South and southern California. "I know y'all got some swamps and some creeks and some rivers around here," he said. Well, two out of three ain’t bad (and, to be fair, the Salton Sea is pretty much a swamp at this point). The climax of the set was, of course, "Country Girl (Shake It for Me)," the closest competitor that "Cruise" would have for a national anthem among this crowd. And shake it they did, but you can’t say that Bryan doesn't giveth as well as demandeth, as he did some signature wiggling himself at the very outset of the show. Why didn't Bryan and FGL join forces to recreate their collaboration on "This is How We Roll," though? When the Line-men performed it by themselves without a guest shot from Bryan, it was the one disappointment of the day for a lot of those in the massive crowd... the other bummer being when Chris Cagle ran overtime and had his power cut off right in the middle of "Chicks Dig It." Chicks did not dig that. Bryan’s choice of cover material leaned entirely toward the pop and even hip-hop side, finding him tackling Taio Cruz’s "Dynamite" and Macklemore & Ryan Lewis's "Can’t Stop Us." By that point in the day, this emphasis was something of a main stage tradition, as Dustin Lynch had earlier launched into Trey Songz’s "Say Aah," though Lynch also got into an homage to hard rock with snippets of "Back in Black," "Cat Scratch Fever," and "Walk This Way" incorporated into a medley with "Friends in Low Places." There was less rap and metal over on the side stages, where veterans like John Prine, Wanda Jackson, Duane Eddy, and Michael Nesmith; and Americana newcomers like Shovels and Rope held sway over small but enthusiastic crowds. 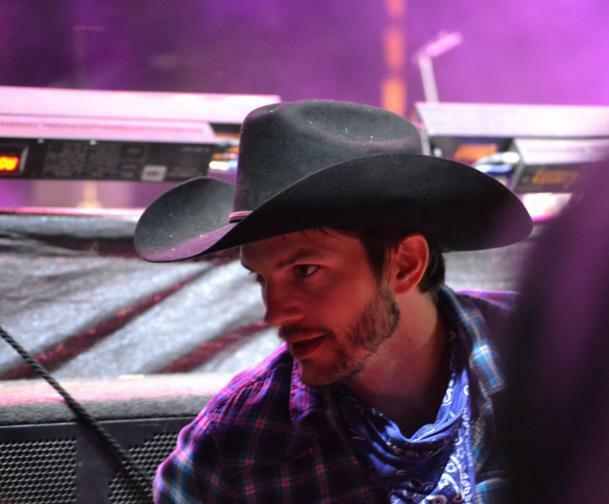 Ashton Kutcher and Mila Kunis, frequent sights in the side tents all weekend long, were especially riveted by Prine's set, which climaxed the proceedings on the Palomino stage, as they watched from the photo pit area. Kutcher was more demonstrative during a performance by the Sleepy Man Bluegrass Boys, a group led by a trio of brothers, the youngest of whom is an 11-year-old banjo prodigy. Out in the audience, Kutcher did the do-si-do with Kunis and then happily locked arms with strangers as he danced and clapped along to the vintage-sounding string band music. Wanda Jackson made a return to the festival after playing a few years ago when her Jack White-produced comeback came out. "I had a shoulder operation a couple of weeks ago, but I wanted very badly to be at Stagecoach," she told the crowd. She had a bigger crowd than fellow early-rock veteran Duane Eddy, who had only about 100 people in attendance at the beginning of his set, though it swelled to around 200 by the end, when he was playing the iconic "Peter Gunn" theme. "Big crowd we got here today," Eddy said dryly, peering out over his sunglasses after his first number. "Friendly one, too." Well, he was at least right on one out of two counts. Once and future Monkee Michael Nesmith also had trouble drawing a crowd for his set, with fewer than 100 attendees left by the end. "So outta here! Goodnight," he said, seeming a little bit peeved that he had come up with a special, one-time-only set list concentrating on his early '70s country-rock material — as touted in a big Los Angeles Times story — only to play it for a crowd that barely seemed to outnumber his band. On the other hand, a few left-of-center acts that you wouldn’t have expected to be much of a draw for Stagecoach’s mainstream crowd, like the duo Shovels and Rope, drew hearty and responsive audiences, so it’s often anyone’s guess which of the classic or alternative acts will go over on the side stages.